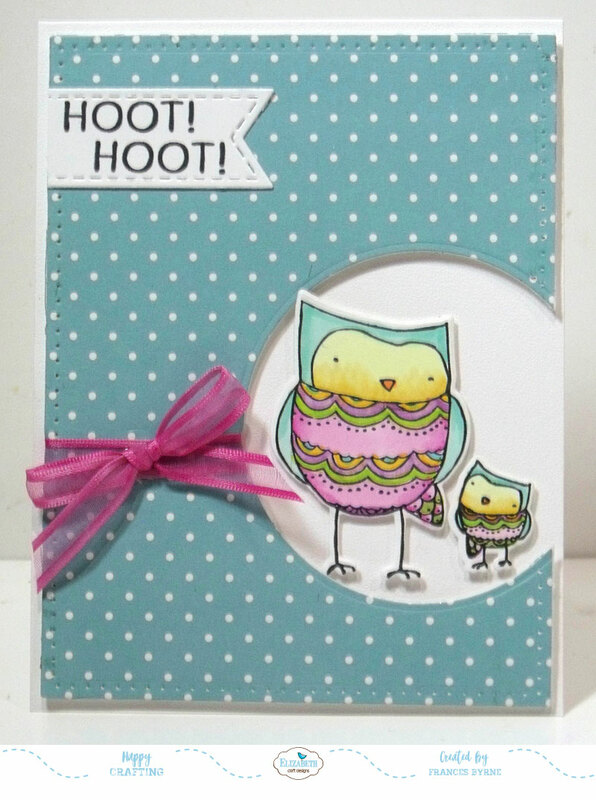 Today I am sharing another card I created recently using the new Krista Schneider Give a Hoot! 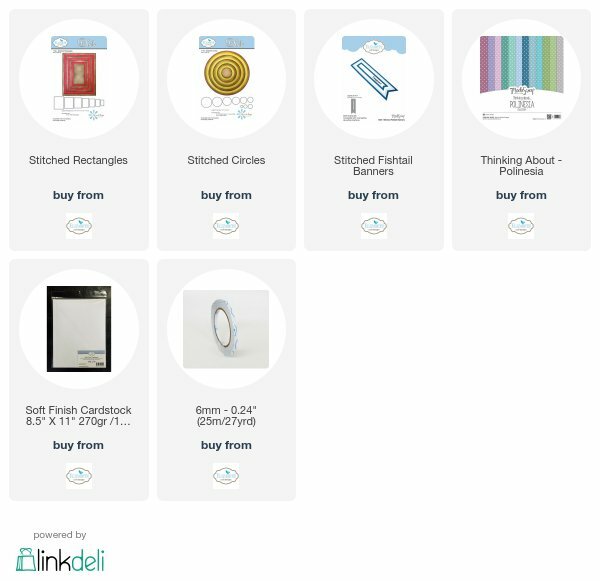 Clear Stamp set and coordinating dies recently released by Elizabeth Craft Designs ... I just adore these cute owls. I kept my card fairly simple using a piece of designer paper from the ModaScrap Polinesia Patterned Paper pack (I used the 6 x 6 pack for this card). I layered the paper onto a piece of white cardstock and die cut a rectangle using the Stitched Rectangles die set. I then used a circle die to cut the circle hole on the right hand side of the card. 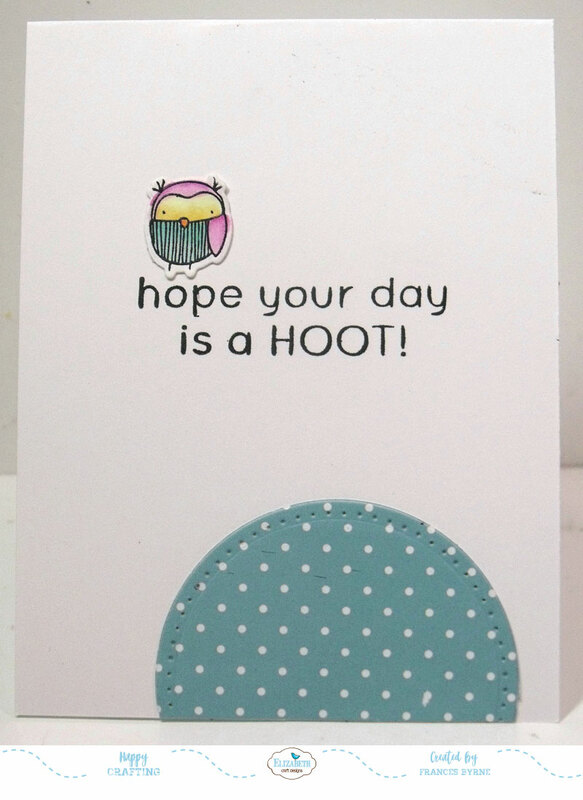 For the sentiment, I carefully trimmed the "Hoot" from the " hope your day is a HOOT!" sentiment included in the If Animals Could Talk Clear Stamp set and stamped it twice before die cutting using the ModaScrap Stitched Fishtail Banners die set to die cut it out and adhered to the top left hand corner of the card. For the inside of my card I added the full sentiment and also added another of the cute little owls from the stamp set. I added part of the circle left over from cutting the front layer to the bottom of the card. EEK - those owl stamps are adorable. Cute card!